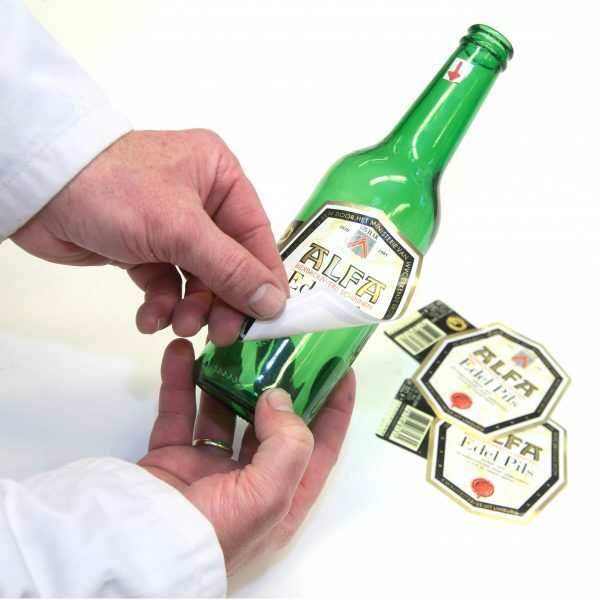 LABELLING: P 5981/1 K8 is a synthetic ice water resistant adhesive for glass bottle labelling (wet and dry). The adhesive exhibits excellent flow properties and can be used on most automatic labelling machines. P 5981/1 K8 has a long open time and good tack properties, short setting time and is very good on cold/wet bottles. This adhesive has been perfumed on request. A working temperature between 20°C and 30°C usually gives the best result. P 5981/1 K8 can be applied by wheel and roller systems. Cleaning can be performed with water. 25 kgs. drum. – 1000 ltr. container. Keep the containers closed and preferably store at room temperature. The adhesive is sensitive to frost. The shelf life is 6 months.